-Read the excerpt below from MRC's Aug. 7 report. The Islamic State, formerly known as ISIS, had marked homes and businesses owned by Christians with a red, painted ن (pronounced “noon”), the 14th letter of the Arabic alphabet and the equivalent to the Roman letter N. The ن stands for Nasara or Nazarenes, a pejorative Arabic word for Christians. 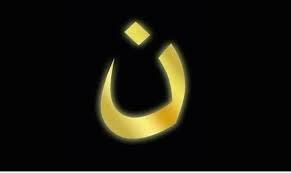 The ن is now being shared on social media as a symbol of solidarity with the Iraqi Christians forced to flee their homes. 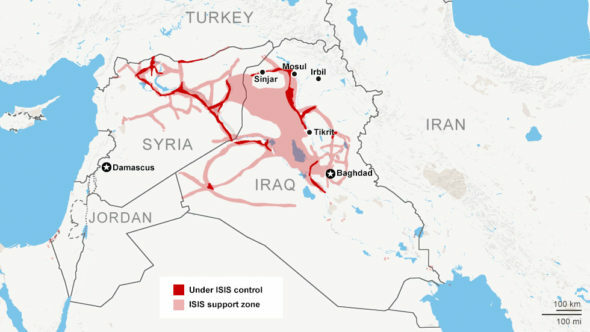 On August 7, the al Qaeda spinoff group the Islamic State [formerly known as ISIS] seized numerous towns in northern Iraq that are home to much of the country’s minority Christian population, sending tens of thousands of them fleeing further into the Kurdish-dominated region to avoid the unforgiving and deadly extremist group. 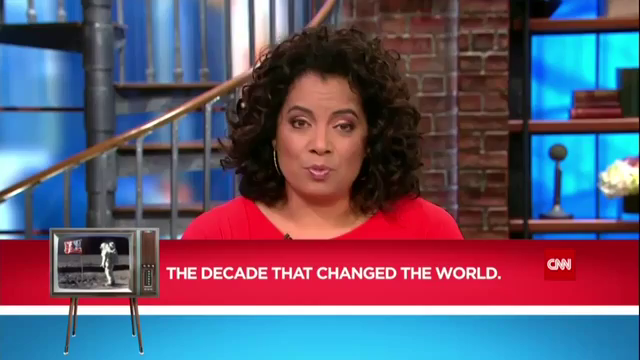 When it came to the major broadcast networks covering this story on their morning news shows, neither ABC, CBS, or NBC provided their viewers with information on this story. Early Thursday afternoon [Aug. 7], it was reported that President Obama was weighing possible military strikes against ISIS and airdrops of aid to help another religious minority group, the Yazidi, who now “are trapped on a mountain top surrounded by” ISIS forces below, according to USA Today. The lack of network coverage of Iraqi Christians facing persecution under the increasingly ISIS-run region is nothing new, as zero stories from ABC, CBS, or NBC on their plight have been filed on both their morning or evening news shows since ISIS began its siege to take over large swaths of Iraq in June. However, as the Media Research Center’s Matthew Balan reported on July 24: “CBS’s early morning news program, CBS Morning News, did air a full report on the flight of Christians from Mosul on June 30 – just days after ISIS took over the city.” CBS Morning News, which serves as a lead-in to local morning news shows on CBS affiliates, airs live at 4:00 a.m. Eastern Time. Of course, the question becomes who is going to defend the Christians, a largely underreported story. Same thing is going on in Jerusalem. It’s interesting especially here in the U.S. where you have such a high population of Christians. 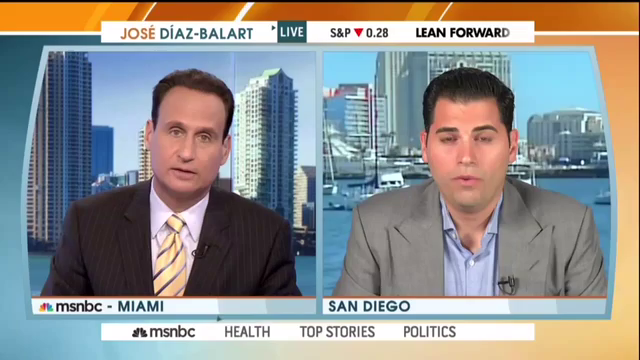 The transcript from the August 7 segment on CNN’s New Day can be found below. MICHAELA PEREIRA: 30 minutes past the hour. Breaking news out of Iraq. A horrific situation unfolding there this morning. Iraq’s largest Christian city now seized by ISIS militants. Tens of thousands of Christians are now fleeing for their lives. Our Nic Robertson is live in London this morning with more. Nic? NIC ROBERTSON: Yeah, Michaela, Qaraqosh, the city just west of Irbil, the big stronghold of the Kurdish region there, that town under attack by ISIS. All the Christians from it pouring out of there and moving towards the Kurdish area looking for sanctuary there. What is significant about this is that area has been under protection, if you will, of the Kurdish peshmergas forces, it’s right next to the Kurdish autonomous region. Again, what makes it significant is that the Kurdish forces have now pulled back. Until now, they have been sort of seen as the last bulwark against the Islamic state fighters as they have swept across the north of Iraq and consolidated their control over territory there. Now it seems that they are falling back and the Christians from that will town are being forced to flee. It’s causing widespread panic in the town of Irbil. People there concerned about whether they need to leave that city, which is now only 30 kilometers, about 20 or so miles away from the front line. So, increasing concern about the flight of those Christians and, of course, the Yazidi community forced out of their homes, into the mountains, desperate for food and water, that happened over the weekend. PEREIRA: Christians there among the minority in Iraq and the question is who is going to help them? We do understand that there’s word that a well regarded local archbishop is seeking help from the international community. Tell us more about that. ROBERTSON: Yeah, Joseph Thomas, he’s the archbishop – one of the archbishops from the Kurdish region, from Kirkuk and Sulaimaniyah in the north of Iraq. He has appealed to the U.N. He is calling this situation a catastrophe. His appeal to the U.N. to intervene., now why is he saying that? Again, if the Kurdish peshmergas forces have fallen back and cannot stop the advance of the IS fighters, then that is a concern and what we’re hearing from Kurdish officials today is they are describing the advances by these IS fights as being wide columns, armored Humvees followed up by artillery and mortar fire, which means this is not just a small rebel force. They’re fighting like an army along a long front, backed up with artillery firepower and the feeling at the moment is is there’s no one who can step in and stop them and that’s why the appeal is going out to the U.N. from this Archbishop, Joseph Thomas. PEREIRA: With Kurdish forces had been holding them back and now we understand what they’re up against. Nic Robertson, thanks so much for that. CHRIS CUOMO: Of course, the question becomes who is going to defend the Christians, a largely underreported story. Same thing is going on in Jerusalem. It’s interesting especially here in the U.S. where you have such a high population of Christians. The transcript from the news brief during the 8:00 a.m. hour on CNN’s New Day is transcribed below. MICHAELA PEREIRA: In Iraq, tens of thousands of Christians terrorized and fleeing now for their lives as ISIS militants seize the country’s largest Christian city. The local archbishop calling the situation a catastrophe and pleading for the U.N. to intervene. Pope Francis, adding his voice now, urging the international community to intervene to end the violence there. 1. What type of bias does this excerpt illustrate? a) List the major media outlets that have done stories on the plight of Christians in Iraq. 3. Ask a parent to tell you what he/she has seen in the news about the plight of Christians in Iraq and then what he/she knows about the plight of the Yazidis in Iraq. CHALLENGE: Do an internet search to find news photos of the thousands of Iraqi Christians who have fled for their lives. Find photos the Yazidis in Iraq; find photos of Palestinians in Gaza. What do the results of your search tell you about news reports on the people involved in these news stories? 1. The excerpt illustrates media bias by story selection. 2. a) and b) Answers vary.